I never considered the word “research” to be gendered. Yet, there on a big projected PowerPoint slide under the heading “Male Associated Words” was “research,” along with related terms data, result, finding, publish, among others. The setting was a workshop called “Branding Yourself: Developing Your Communications Strategy” that covered job-seeking topics from CV and resume writing to the benefits (and risks) of social media to how to coach your letter-writers on writing good recommendations. Co-presenter Cindy Simpson, Chief Business Development Officer for the Association for Women In Science (AWIS), summarized research findings that compared word usage in letters of recommendation for female versus male job candidates. It was found that letters for male candidates include “standout” words—brilliant, unparalleled, superb—more often than letters for female candidates. Letters for male candidates also tend to describe research abilities and results more often than letters for female candidates, which tend to emphasize work ethic (“grindstone” words) and social/citizenship qualities (“teaching” words). This kernel of implicit bias knowledge wasn’t the only thing I learned at the National Postdoctoral Association (NPA) Annual Meeting, held in Baltimore from March 13-15, 2015. This year’s conference had several engaging sessions on diversity and inclusion and the importance of mentoring in career advancement. Many were directly relevant to women, which is quite timely as we celebrate Women’s History Month. Presented here are a few nuggets I learned from my colleagues and distinguished presenters. Be Direct and Directional. This is the “help me help you” concept that Jerry Maguire made famous. You can help your letter-writers by stating explicitly what you need and when you need it. Provide them with an updated CV or summary of your accomplishments. Ask for a letter well in advance of the deadline. Alert your letter-writers to the research on gender-biased terminology and the importance of using definitive words. This is just one example where “mentoring up” can lead to better outcomes and provide greater meaning than taking a passive approach to mentoring relationships. male- or female- associated words, try using the Gender Bias Calculator. This online tool analyzes a letter and produces a list of potential male- and female-associated words. Additionally, you could recommend this tool to your letter-writers as a way to assess for gender-bias terms. Your Social Network Goes Beyond Facebook. In the same plenary, Dr. Audrey Murrell, Associate Dean of the School of Business at the University of Pittsburgh, encouraged women to “borrow” social networks of men, referencing work by Ronald Burt that showed that women who did so were promoted more quickly than those who did not. At the heart of this assertion is the need to form a whole network of mentors. The more you grow your network, the greater the chance you will connect with influential people. When women grew their networks strategically, rather than trying to meet individuals on their own, they were more successful at meeting their career goals. 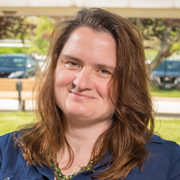 Kristene “Tina” Henne is Argonne’s Postdoctoral Program Lead. In this role, she enables early-career Ph.D. scientists and engineers to kickstart their careers by facilitating the postdoc appointment process, postdoc career development, and advising the Postdoctoral Society of Argonne. Henne has a Ph.D. in biological sciences from Purdue University, a B.S. in biology from Governors State University, and an A.A.S. in radiography from Kankakee Community College. She came to Argonne as a postdoctoral researcher in the Biosciences Division in 2009 and became a program coordinator in 2011. Great article. I learned from it. Thanks for sharing what you learned with us.